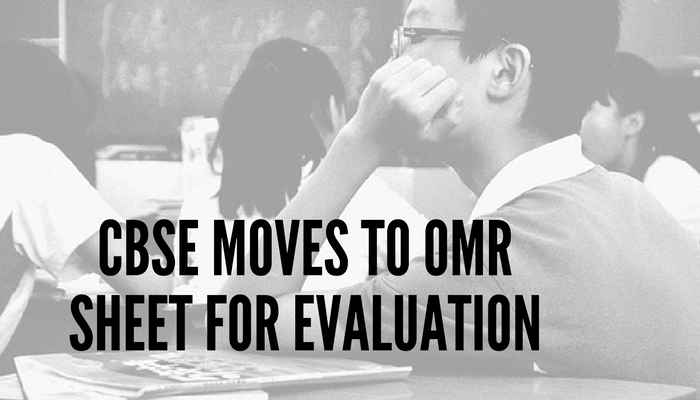 The Central Board of Secondary Education (CBSE) has announced that from 2017 onwards it will be using a new advanced “image technology” based method – Digi Scoring to capture responses marked on OMR (Optical Mark Recognition) sheets. This process, according to CBSE, will not only save time but will also be cheaper than existing process. ‘Digi-scoring’ was recently tested in Navodaya Vidyalayas for recruitment examination of Principals and Assistant Commissioners. Based on the success of the process, CBSE has decided to implement the same all over the country. “The new Digi scoring process is a clear departure from the earlier system of centre wise packing the OMR sheets for evaluation, manually transporting the sheets from across the country to CBSE with utmost care and confidentiality, setting up of scanning machines at secure places for data capturing and evaluation which involves at least 20-25 days for pre result processes,” the CBSE statement said. RK Chaturvedi, Chairman CBSE, said that Digi-scoring will allow the data to be stored in a temper proof format and loss of time will be minimised. This will also save lot of money for CBSE. Complete process will be 100% transparent and with fool proof mechanism. Even the result declaration will be much faster. This initiative has been taken under ‘Digital India’ programme. CBSE is an active member of this programme. It is using Digital Locker, National Scholarship Portal and DGET Portal features of the programme. Other organisations like UPSC and SSC have been using OMR sheet for evaluation for quite some time. Visit vagupu.com to hire your personal tutor. This entry was posted in Classrooom Technology, Innovators Campaign and tagged CBSE, CBSE Evaluation, CBSE OMR Evaluation, Digi-scoring, Digital India, Ed-Tech. Bookmark the permalink.